This one of a kind diamond was cut using today's modern technological standards for optimal fire, life, and brilliance, but with the facet pattern to match a classic old mine cut. The diamond floats upon a frame of smaller round diamonds, creating a vintage feel. The prongs holding the central diamond in place were hand-sculpted to evoke the Van Shaack House in Kinderhook, NY – a very special place in their relationship. Inside the ring, a meaningful phrase is carved in his own handwriting. 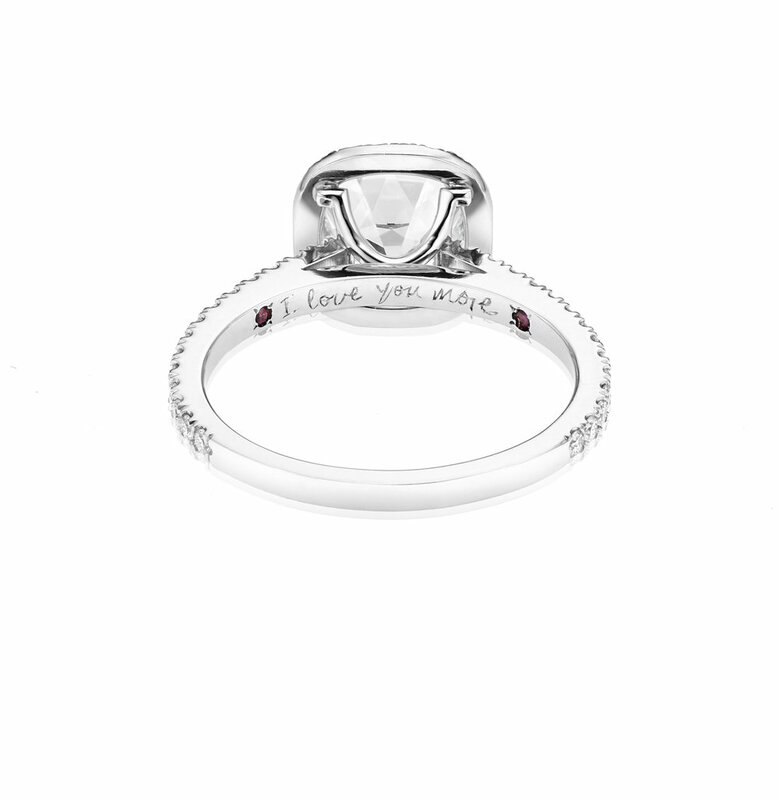 Two gemstones are set on either side of the inscription, reminding them of the time when it all began. 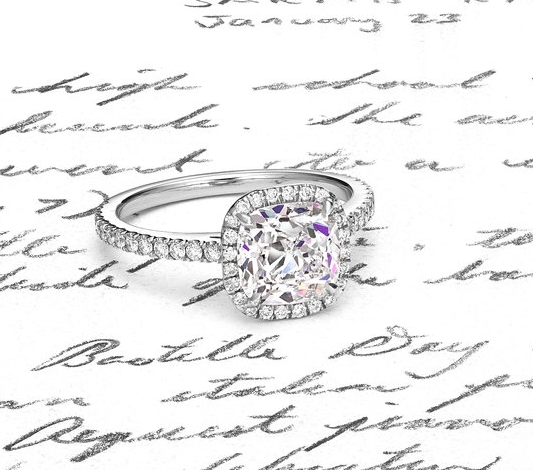 The Kinderhook Ring features a cushion cut diamond and small round diamonds set in platinum.